Written by CO.LAB’s CEO, Marcus Shaw. This was originally published as a guest column on teknovation.biz. This week, Chattanooga’s startup community was part of a public gathering at The Edney Innovation Center to learn about the next stage of our Innovation District. The Enterprise Center shared an impressive framework for the Innovation District to a diverse room of leaders and community members from the private and public sectors. In addition to community members, audience members included startup founders, nonprofit leaders, and business leaders. The group also included our city and county leadership, as well as leaders from higher education. Diversity and inclusion is a pillar value for CO.LAB. We believe that a collective sense of belonging is key to generating innovation from all parts of the community. That is why we are excited to see multiple initiatives in the Innovation District plan to support diversity and inclusion. Martin Luther King Jr. Boulevard, known to many as the “Big 9” is a key element of the Innovation District, connecting business, civic, academic, and cultural foundations of our community. 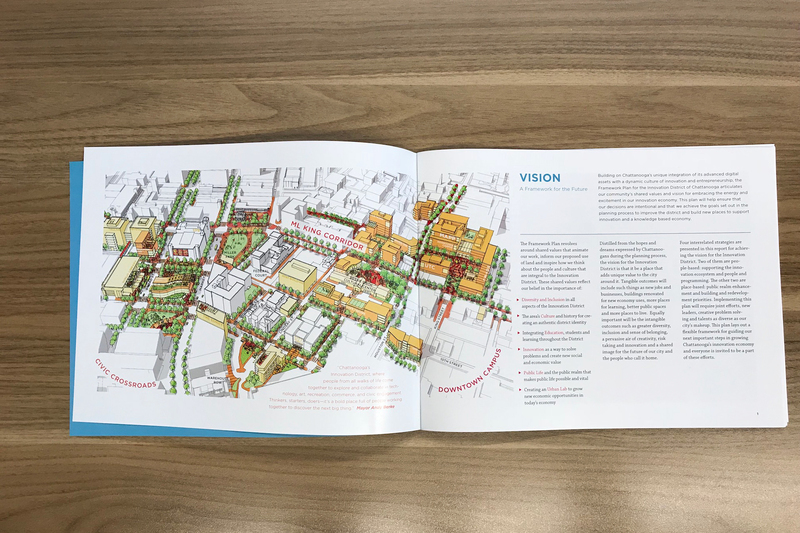 The Innovation District plan calls for development of mixed-income housing facilitating the ability for community members from all walks of life to participate in the district. Last month, Brookings Institute Centennial Scholar and author of The New Localism, Bruce Katz, visited Chattanooga and held up our Innovation District as a model for other mid-sized cities across the country to follow. He specifically addressed our successful public-private partnerships as a example of how cities can generate growth through leveraging local assets.